All too many of us learn needlepoint on our own. Perhaps someone teaches you the basic stitch. (in my case it was my grandmother). Or if we’re lucky we take a class at a shop where we learn a handful of stitches, often expensively. After that we’re on our own. We from books, from magazines, and from other stitchers. It shouldn’t be that way. As stitchers we should have better. We should be able to learn about all aspects of needlepoint. We should learn dozens of stitches, grouped together so they both make sense and build on each other. We should be able to learn about threads, tools, and good stitching habits. We should be able to try different kinds of needlepoint and stitch plenty of projects. New this year will be a private group with places for discussion and more. It’s the best bargain in needlepoint, at only $39 for the six-month program. That works out to less than 10 cents per stitch. Where else can you learn so much for so little? In a time when so many stitchers live far from shops and when instruction is hard to find, it’s difficult to learn needlepoint thoroughly. Many of the topics covered in the Forum have been suggested by the questions of students and stitchers like you. 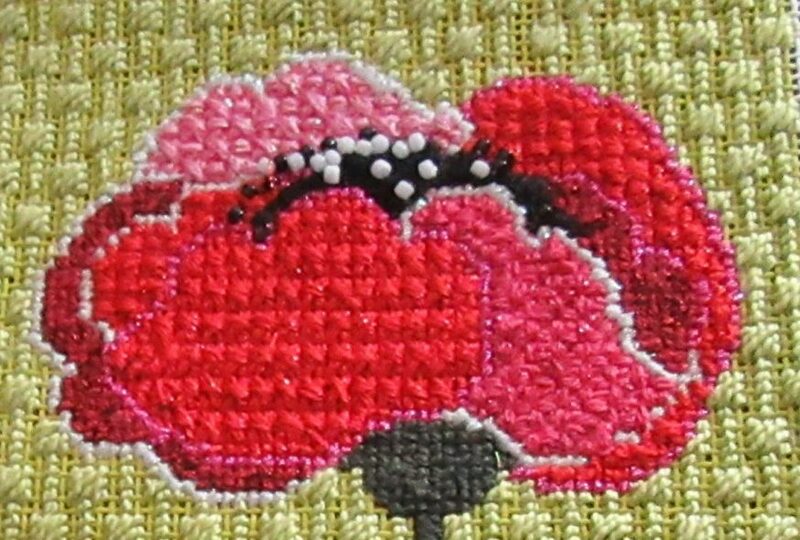 Stitchers at all levels have befitted from my structured way to learn needlepoint stitches. You don’t need to know much to benefit from the class, just one kind of Tent Stitch, Continental or Basketweave. And you need a willingness to learn. That’s it. Because the class is sent by email as PDF attachments you won’t need special software to join, and you can read your lessons anytime! Because groups and lab kits are optional and projects are sent free you’ll get so much you can put to use without spending much money. Just the three full stitch guides you’ll receive would cost more than the entire class. The Needlepoint Forum is one of my favorite classes because it distills almost 50 years of stitching and thinking about needlepoint into short readable lessons you can use, and it costs only $39. Use the button below to sign up through PayPal using your account, a major credit card, or an echeck. The class will begin on March 4. I hope you’ll join me for six months that will transform your needlepoint. Is this open in April? and would i get info for the March part?